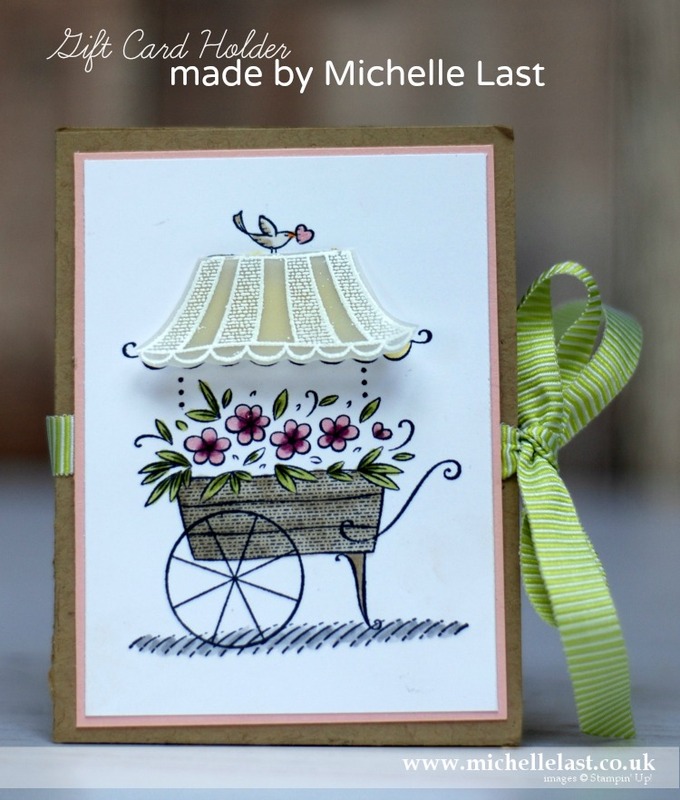 This gift card holder is one of the first things I ever made when I joined Stampin’ Up! 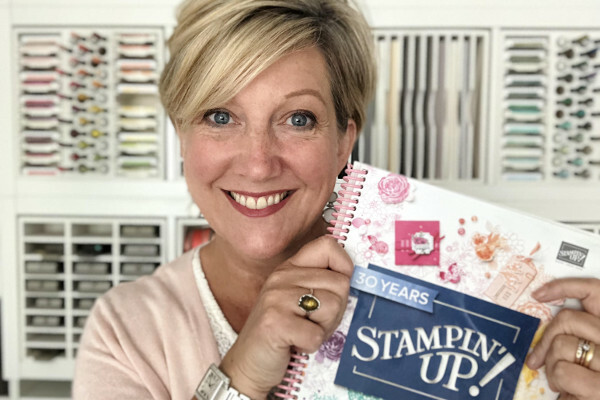 My darling friend from Texas, Jackie Ross shared it with her lovely mum Val and Val shared how to make them at my scrapbooking crop. It is such a simple idea and can decorated in so many ways and its a very special way to celebrate someone whilst giving them a store gift card. I used the Friendship’s Sweetest Thoughts Stamp set which is adorable and perfect for colouring with the Stampin’ Blends. 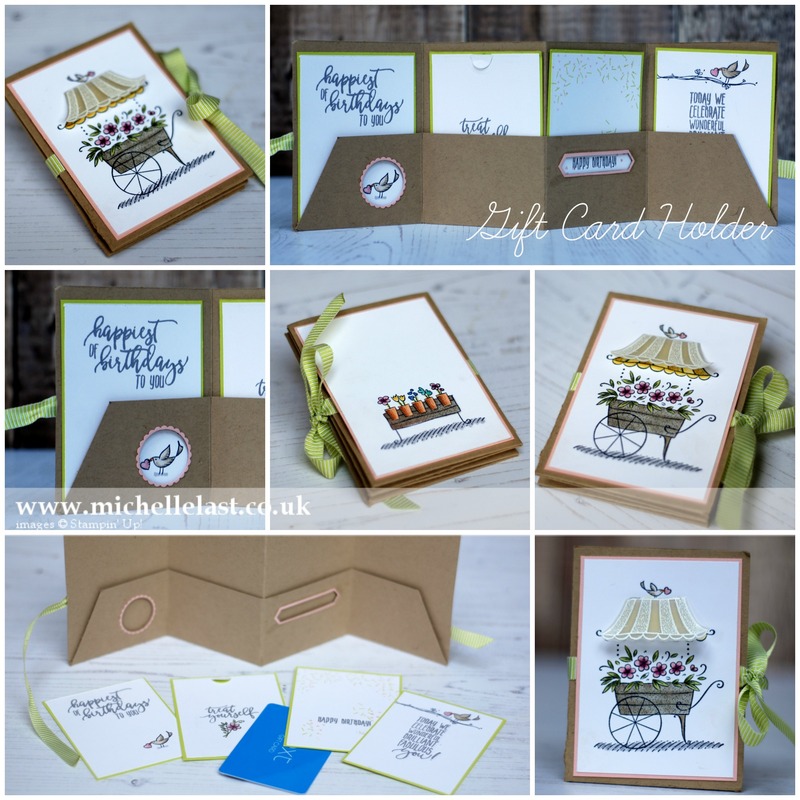 I stamped and embossed the roof of the flower cart onto vellum and fussy cut around it to add some fun dimension. Wait till you see inside…. The holder is simply a piece of 6 x 12″ cardstock, scored along the full length at 4″ and then at 3″, 6″ & 9″ for each section. I used two of our punches to create little peek-a-boo windows and lined up some images and greetings so they showed through the windows. I used the little tiny slit die in the Lots to Love Box Framelits so that it holds a standard store gift card. There is room to handwrite your own greeting on two of the cards and I even stamped and coloured the back. The Lemon Lime Twist ribbon adds a lovely pop of colour. I love how it turned out and who wouldn’t love receiving a gift card presented in this way? You probably already know that saleabration is on and for every £45 you spend you can choose a free item from the 16 on offer. Be sure to check out he brochures on the right as there are some gorgeous free items. If you order online and spend £20+ please use the monthly hostess code to also receive a free thank you gift from me. If you click any of the items shared below, they will take you direct to that item in my online shop. If you need help please do not hesitate to get in touch. Love everything about this project!